The University of Minnesota’s state-of-the-art medical devices laboratory is an 8,000-square-foot facility built specifically for designing, prototyping and testing new medical devices. 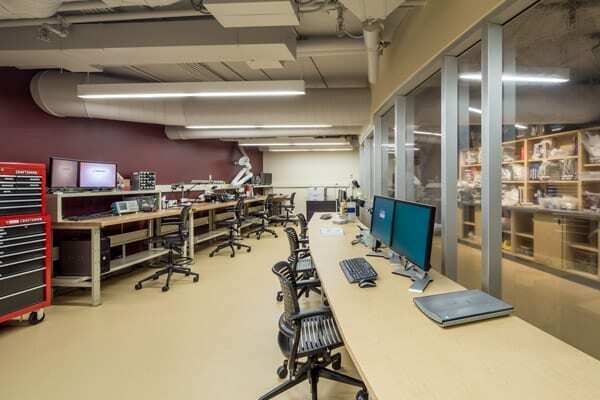 Facilities include a flagship/brainstorming conference room; a wet laboratory; a mechanical fabrication room; advanced prototyping/testing room; CAD lab; 3-D imaging room; simulation portal/3D Touch table room; offices; and meeting rooms. pressure in multiple areas. NAC also Installed a complete air distribution systems connecting to existing supply, return and exhaust while serving other occupied areas. 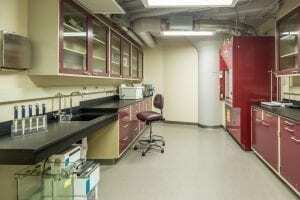 The lab exhaust was a completely welded stainless steel system. 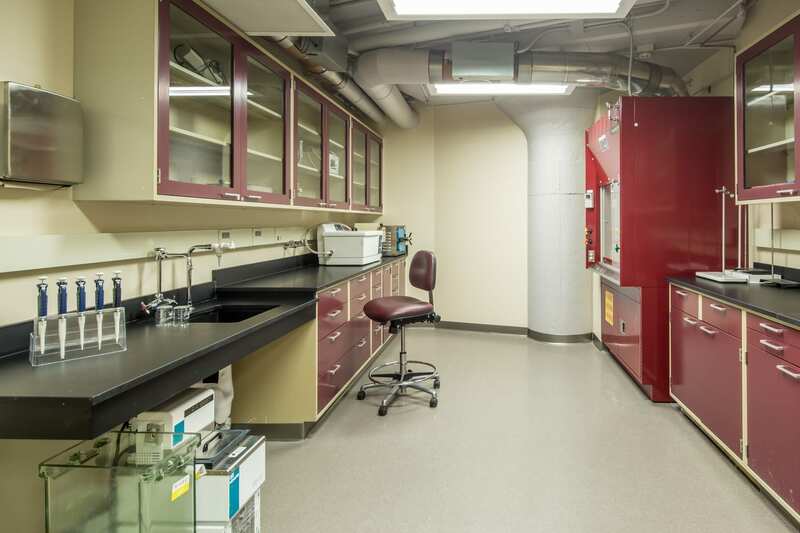 This project was a full mechanical and plumbing install for a space that was converted from a parking ramp to a medical device lab. This created some challenges from the sloped structure and minimal ceiling space available, requiring careful coordination with 3D drawings in order to fit all of the services that necessary within the space. Additional challenges included the compressed schedule and the requirement to install stainless steel welded exhaust for the fume hoods. 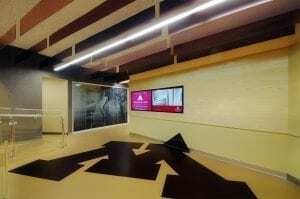 NAC completed this job on time through the coordinated drawing efforts between the field and the office that allowed NAC to identify conflicts early on in the project, minimizing redesign delays.